Moms who find out they are expecting twins often believe that their pregnancy must end with a C-section — and many physicians feel the same. However, a new study examined the risks and outcomes of twin birth via vaginal delivery as well as C-section, and found that they are both equally safe for moms and their babies. Researchers studied 2,804 women and their babies to find out if method of birth resulted in different rates of birth injuries, infections, death (of the mother or her babies) or other negative outcomes. Lead author John Barrett, who is an associate scientist at the Sunnybrook Health Sciences Center in Toronto and a specialist in maternal-fetal medicine, said that they found that the rates were around the same. Women were selected for the study based on how their first twin was presenting, among other factors. If the first baby to exit during birth was in a breech position after 32 weeks of pregnancy, she wasn’t accepted. 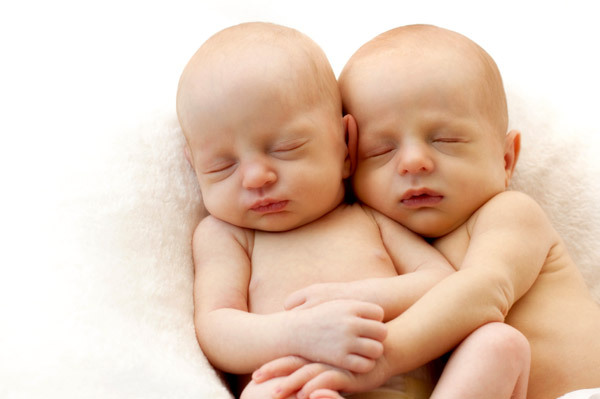 Dr. Barrett said that a C-section for twin moms is often recommended because the second twin sometimes presents in a breech position after his or her sibling is born, but for a skilled practitioner, this usually isn’t an issue. The C-section rate in the U.S. is staggeringly high — it’s at 32.8 percent (2011 data from the Centers for Disease Control and Prevention). And it’s even higher for twin pregnancies, and continues to climb as the years go by. In 1995, the rate of surgical delivery for twin moms was around 54 percent, but by 2008, it had shot up to 75 percent. A doctor that USA Today interviewed said that he doesn’t expect that rate to change, however, and he also said that many women prefer C-sections. I have to wonder what the surgical delivery rates will be when my daughters are grown women. It’s a sobering thought.